And on the third day, we left Half Moon Bay. However, we didn’t leave before having lunch at an awesome sandwich shop. All of the ingredients were fresh, and they put a bunch of them on the sandwiches. After lunch, we drove up Highway 1 toward San Francisco. We had no idea what we would see along the way, but we knew it would be different from what we saw going south. The road had a little more traffic, and the coast had a little more development. Before we knew it, we were on the coastal edge of San Francisco. It was like driving anywhere else, but I noticed something strange. You couldn’t turn left at any intersection. Necole and I had a whole conversation about how you can get anywhere without turning left. Some of the neighborhoods we went through looked somewhat rundown. But, we also passed a mall with a Nordstrom, which I know is fancy because Necole and I saw Nicole Kidman at the one in Nashville. As we went further up the road, Necole was getting more nervous. Once, she had panic attack going over a bridge in Florida, and this road was taking us over the Golden Gate Bridge. She asked if it was a suspension bridge. When I said yes, she began to squirm. As it turns out, Necole did great. She busied herself by taking pictures and felt better when she saw people walking a riding bicycles next to us. Unfortunately, she took those pictures on her iPhone, and I don’t have any to put in this post. Crossing the bridge took us into a completely different place. We went from city to suburb, and it must have been a heck of a suburb. We passed a Ferrari dealership and a Bentley dealership. We also passed another Nordstrom. Nashville thought it was a big deal to get one, and we saw two on the same road. 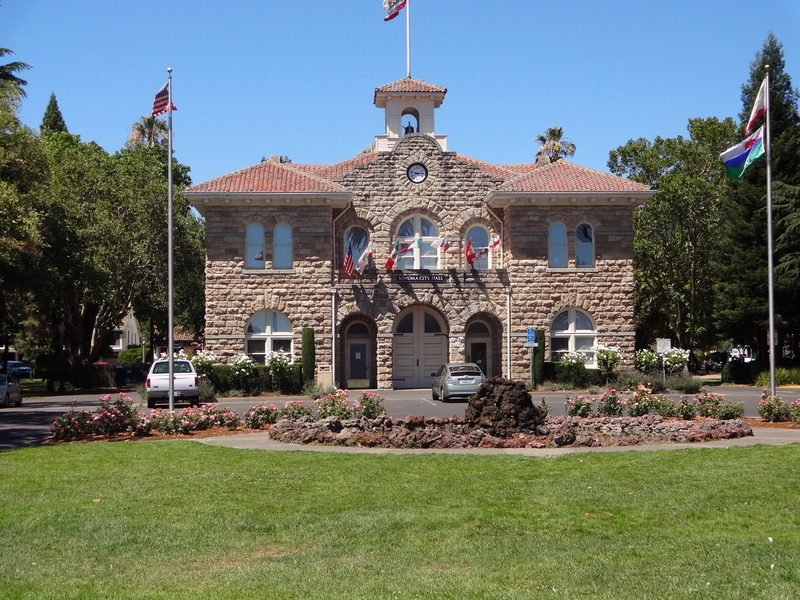 We took this route because our next few nights were going to be in Sonoma – Wine Country. Here, we would see fields of grapes and wineries around every bend. We saw those things, but some other stuff surprised. The land without grapes reminded me of Montana. Also, we passed a race track. Somewhere in my mind, I recalled that NASCAR has spent time racing in Sonoma. There’s just something not right about that. The people I see at Talladega don’t seem to be the Wine Country type. In short, NASCAR needs to run where they make whiskey, not wine. 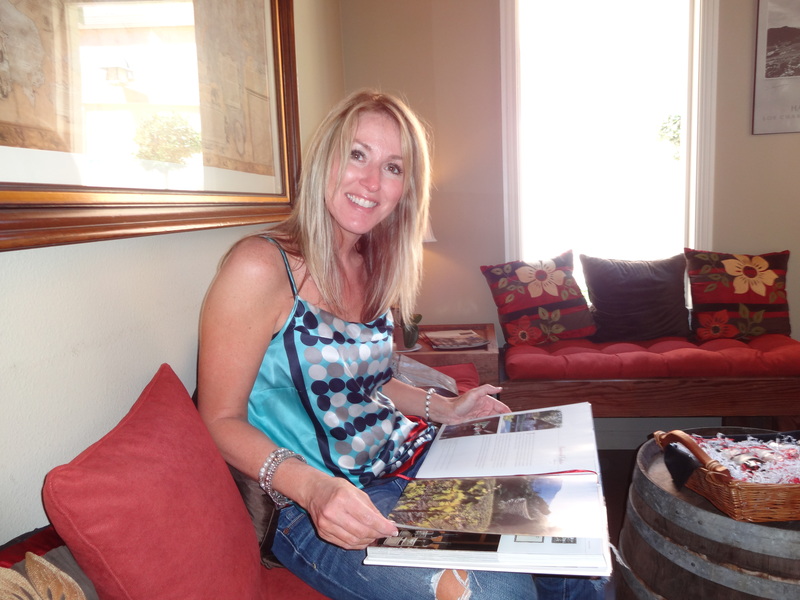 We made it to the city of Sonoma and our hotel, The Lodge at Sonoma. It was not the Ritz, but it was an alright place to stay. The put us in a dinky room, so we had them swap us to a bungalow. This room was better but not great. However, what we found around us was awesome. After checking in, we went to the Sonoma Plaza. This thing was huge and dwarfed the plaza I have visited many times in Santa Fe. City hall sat in the middle. I thought it was interesting and took a picture of it. I wonder if I am the only person who ever took a picture of city hall. Anyway, we immediately went to a wine tasting. After all, that’s why we drove all the way up there. After some wine, we walked around the plaza, ventured into some art galleries and had dinner at this cool restaurant. Then, it was on to another wine tasting. Little did we know that this was just the beginning of our tasting experiences. We went back to the hotel and found a spot in a bar/coffee shop/cheese place. I had beer and cheese. Necole had wine and cheese. The beer was good. The wine was good. The cheese was awesome. Wow…This is amazing stuff.Loved it and have shared. Looking forward for more.Alex,Thanks. Sonoma Raceway brings in millions of dollars to an area that has a limited tax base. Grapes need very little water as does a race track. Agriculture land pays a lower tax rate. California struggles with available drinking water in many areas. Monterey has Laguna Seca raceway nestled in old oaks, in a prime location. Monterey mostly loves it race weekends. Come, enjoy a NASCAR weekend in Sonoma and you might be pleasantly surprised at who attends. I’m sure it’s a great track. It’s just weird to know the differences between Talladega and Sonoma. It has to be a completely different experience. Napa/Sonoma v. NASCAR does seem like a mental disconnect. It was for me also. California has so much useless “people” land and with conservation land protection agency’s we struggle with viable land usage. Hope you two are enjoying yourselves. It’s interesting to read about my area through visitors eyes. Thanks for reading. I hope you are enjoying it. Thanks. It’s a fun place to visit.